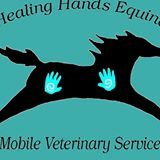 At Healing Hands Equine, we offer equine veterinary care with a focus on: Integrative Medicine, Chiropractic Care, Dentistry, Acupuncture, Naturopathic Medications and Whole Horse Balancing. We combine Traditional Veterinary Care with Holistic Veterinary Medicine, creating individualized treatments for your horse. We are ALL mobile – so we come to you! And deliver compassionate customized care for your horse. 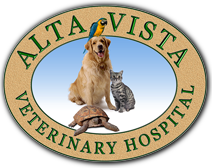 Alta Vista Veterinary Hospital is a full-service veterinary hospital specializing in the thorough and compassionate treatment since 1949. Our mission is to provide the best and highest quality veterinary care possible by having a competent medical staff, having extended hours, and extensive resources for special cases. Our purpose is to treat all pets as our own and treat our clients the way we would want to be treated.